New York City is everything you expect it to be: blazing lights, stellar museums, urban parks, grand bridges, buzzy restaurants, and even buzzier nightclubs – all framed by the world’s most iconic skyline. New Yorkers often joke that their city is the centre of the universe and after a visit here, you may be inclined to agree. Here are the best things to do, what to eat and where to stay in New York City. Without the Empire State Building, would all those famous cinematic love scenes – An Affair to Remember, Sleepless in Seattle – be as memorable? Probably not. Hop on one of the speedy elevators to the top of this Art Deco beauty for stunning 360-degree views – on a clear day, you can see five states: New York, New Jersey, Pennsylvania, Connecticut, and Massachusetts. However, for the best view of the Empire State Building itself, head 14 streets up to Top of the Rock at 30 Rockefeller Plaza. Suburbia has its backyards, but New York has Central Park. Spend a day wandering this enormous park, with its sloping lawns, Frisbee games, fragrant gardens, elm-shaded Mall, and beloved Strawberry Fields memorial to John Lennon, and you’ll understand why this isn’t just the geographical heart of Manhattan, but also its emotional one. If you visit one museum in New York, make it this one. The epic Met traces over 5,000 years of art history, from the Egyptian Temple of Dendur to the Astor Chinese Garden Court to paintings by Van Gogh, Manet, Monet, Picasso, Degas, Warhol, and many (many) more. 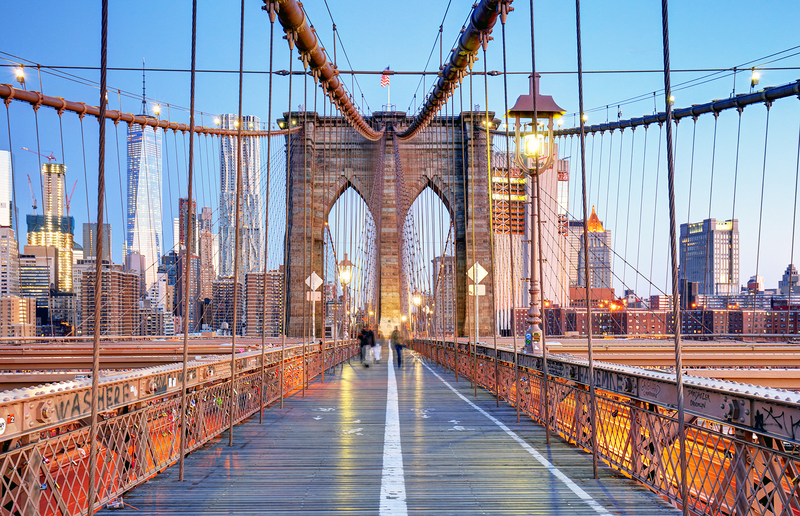 The Brooklyn Bridge can claim plenty of superlatives: when it opened in 1883, it was the first steel suspension bridge in the world, and also the longest. These days, it’s one of the most photographed structures in New York – and the best way to do so is by crossing it on foot. For the greatest effect, walk it from the Brooklyn side – the Manhattan skyline glitters and changes with every step you take, framed by the bridge’s signature cables. The collective refrain after 9/11 was “never forget.” The 9/11 Memorial & Museum is ensuring just that. Built on the footprints of the original Twin Towers, this profound memorial and museum pays tribute to those who lost their lives on 9/11, while also exploring the continued global impact of the tragedy. Unfolding on four leafy acres in Fort Tyron Park, The Cloisters Museum and Gardens offer a breezy counterpoint to the go-go-go pace of the city. Stroll impeccably reconstructed medieval cloisters, view the Flemish tapestries The Hunt of the Unicorn, and then take in views of the mighty Hudson River. Travel the world – via the restaurants of Queens. This borough is one of the most diverse urban areas in the world, and in the neighborhood of Astoria, you can feast on everything from traditional Greek and Italian to Vietnamese, Brazilian, Ecuadorian, Balkan, Palestinian, and beyond. Top off dinner at the Bohemian Hall and Beer Garden, an al fresco Czech bar from 1910. Head to Manhattan’s east side and look up: dangling high above is the Roosevelt Island Tramway, one of the only commuter aerial tramways in North America. It’s also the cheapest view in town – for the price of a subway ride, you can gaze out at the East River, flanked by a forest of skyscrapers. Never underestimate the allure of nostalgia. 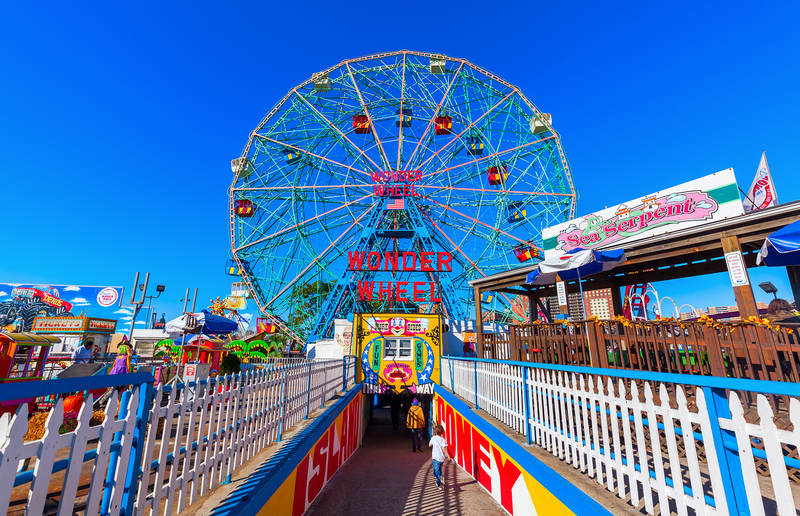 Deno’s Wonder Wheel has been twirling in Coney Island, amid the sticky smell of cotton candy and legendary Nathan's hot dogs, since 1920. Bigger and faster attractions have risen up all around it, but it’s this creakily low-tech family-run ferris wheel that makes the memories. 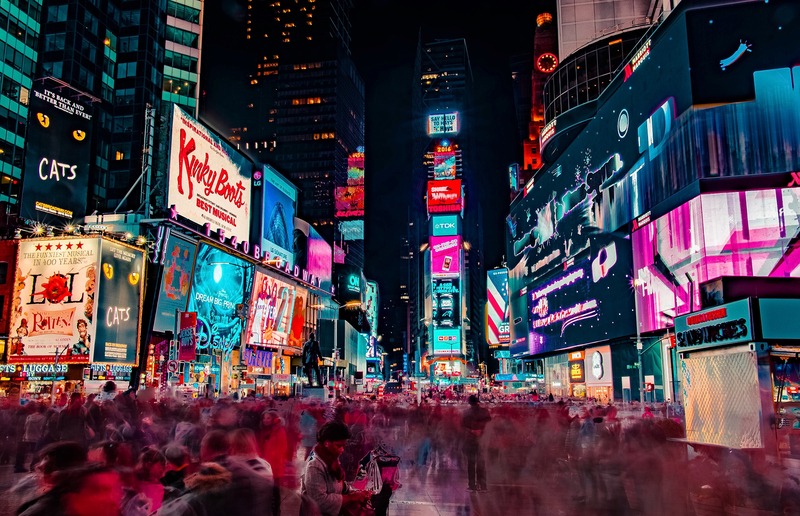 New York has plenty of hotels on offer for pretty much every budget and taste – it's estimated that there are just under 500 hotels in Manhattan alone. The New Yorker, A Wyndham Hotel is definitely worth considering – a storied Manhattan icon that's been at the backdrop of pretty much everything that's ever happened in New York. Inside you'll find lush Art Deco interiors and comfortable rooms that offer unparalleled city views. If you're after something a bit more trendy and budget-friendly, Moxy Times Square is at the thick of it all. 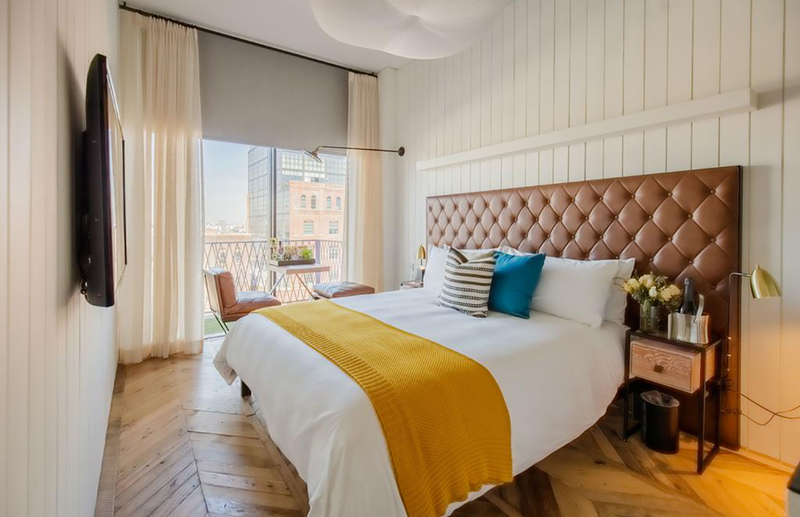 This hotel succesfully combines the urban vibe of subway tiles with earthy blonde wood boards and chic accessories. The rooms are small even by New York standards, however, the hotel is two blocks away from Times Square and within walking distance of the most famous Midtown attractions. For a completely different take on New York City, head over to Brooklyn's coolest neighbourhood Williamsburg and check in at The Williamsburg Hotel. There's a roof terrace with sweeping views of Manhattan, loft-like rooms with enviable bathrooms and plenty of bars, restaurants, one-of-a-kind boutiques and coffee shops nearby. New York has some of the finest food in the world, from shabby dollar pizza slice shops to some of the best restaurants in the world. Why not try to sample a bit of both during your visit? On the street food front, there are several unmissable icons as legendary as the city itself. Start with Katz's Deli and order their famous pastrami sandwich, hit Dominique Ansel's bakery for a cronut (a croissant-doughnut pastry), cross the Brooklyn Bridge and stop at Luke's Lobster for the best lobster roll of your life and head out to Coney Island for Nathan's original hot dogs. Obviously, pizza is a big deal in New York, however you have to know the best places where to eat it. There's Lucali in Brooklyn as well as Totonno's and Grimaldi's in Coney Island while in Manhattan seek out Joe's Pizza or Lombardi's. On the restaurant front, one of the world's best restaurants Eleven Madison Park offers an unforgettable albeit pricey tasting menu. Fans of Netflix's Ugly Delicious shouldn't miss a visit to one of David Chang's establishments (our favourite is Momofuku noodle bar – his first location) and Balthazar, a long standing culinary institution popular among locals, serves everything from great breakfasts to excellent Parisian-style bistro dinners. Sip your way through New York’s fragrant wine country at Long Island’s eastern tip, which lies 87 miles east of New York City. Viniculture pioneers launched the first vineyards in the 1970s, and since then, this region has evolved into New York’s mini version of Napa Valley. Sample small-batch wines at family-owned vineyards like Bedell Cellars and Coffee Pot Cellars – and then bring home a bottle or five. On a Hudson Valley excursion, it’s all about the journey and the destination. Hop aboard the train in Grand Central for the 80-minute ride north, where you’ll be treated to calming views of the Hudson River. Your stop: the arty town of Beacon, which is presided over by Dia:Beacon, one of the largest spaces for contemporary art in the country, built in a former Nabisco factory. Bright-green hills, shaded paths, a grove of swaying hammocks – and all less than ten minutes away from Manhattan by ferry. 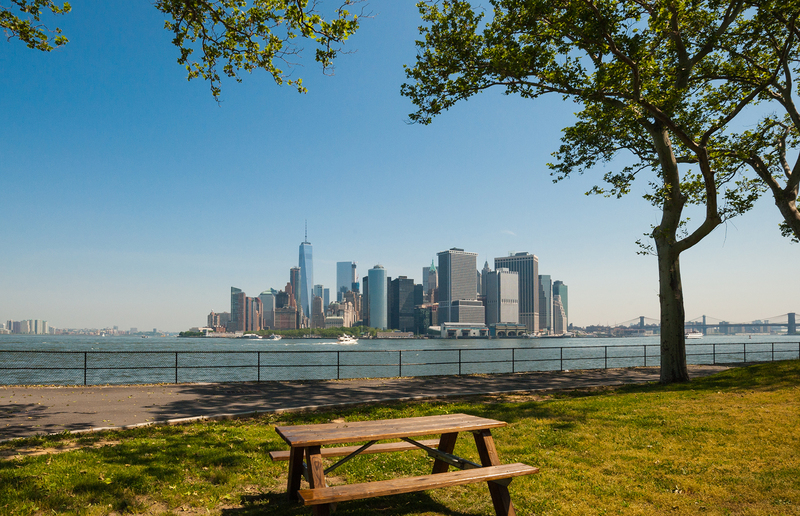 The 172-acre Governors Island, which sits in the centre of New York harbor, has become the city’s favorite summer playground. Soak up the sun, go biking and hiking, and check out superb art shows and festivals, including the wildly popular summertime Jazz Age Lawn Party, complete with flapper dresses, moonshine, and Michael Arenella and his Dreamland Orchestra. New York City is a major US hub, with three international airports: John F. Kennedy International Airport and LaGuardia Airport in Queens, and Newark Liberty International Airport in New Jersey. There are no direct flights to LaGuardia from the UK, however, the tickets with a stopover can sometimes be cheaper than flying direct into JFK or Newark. All three have multiple transport options into the city centre, including subway, train, bus, taxi, and ride-share services. JFK airport taxis offer a flat rate of $50-$70 (£39-£54) for all journeys to Manhattan. If flying into Newark, you can either enjoy the scenic route on the Express Bus or hop on an Amtrak service that'll take you to Penn Station and Madison Square Garden in around 20 minutes. New York’s yellow cabs, contrary to popular opinion, aren’t that expensive – an average journey in Manhattan will cost you around $10 (£7.80), however, the streets are busy and you might get stuck in traffic for a while. The subway system is a much quicker and cost-efficient way of getting around – a single ride on the subway or the bus will cost you $2.75 (£2.15) and $32 (£24.96) will buy you an unlimited 7-day pass. CityMapper is a very helpful app to get before your trip as it’ll tell you the best and the quickest routes, it also has real-time service updates and is generally extremely dependable. Check into: The Williamsburg Hotel. 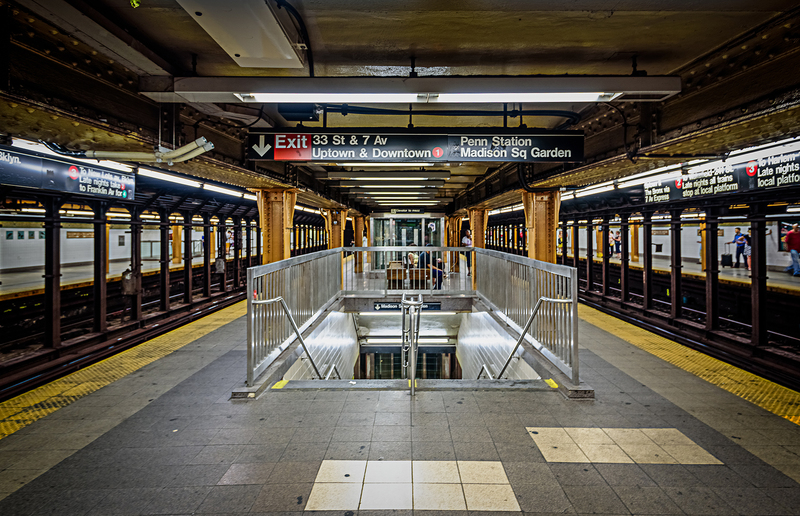 Conveniently located next to a subway station (L trains take 15 minutes to Union Square Station that offers connections to pretty much everywhere in Manhattan), this hotel is perfect for collapsing in a comfy bed after a day of sightseeing. It’s effortlessly cool and trendy with leather headboards and mismatched crockery, much like the rest of Williamsburg. Wander through: Central Park. A true New York icon, you can’t miss out on a stroll down The Mall, surrounded by the lush greenery of Central Park. 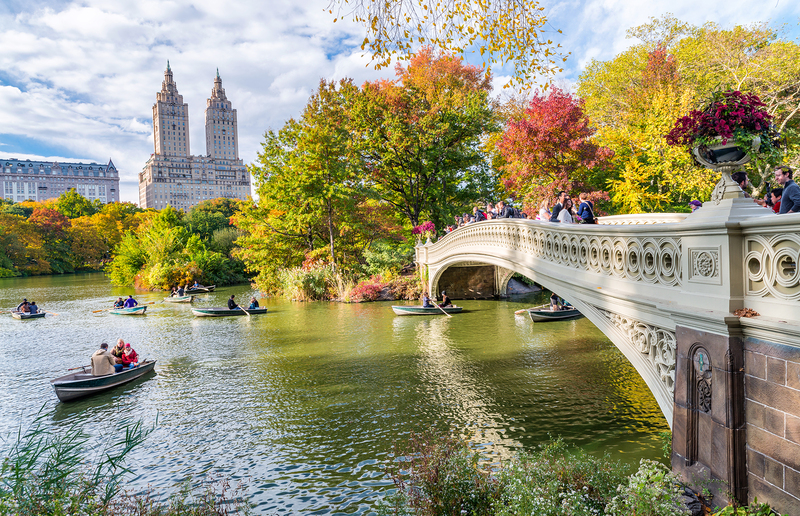 From Strawberry Fields and the Bethesda Terrace and Fountain to the Bow Bridge and the view of The Plaza hotel from the Gapstow Bridge, Central Park is everything you expect it to be. Grab lunch from: The Halal Guys. What started out as a New York City hot dog cart, is now one of the best-regarded street food chains in New York. The food is big, greasy and delicious and the hour-long line at their W 53 St & 7 Ave cart is rewarded by a spit-roasted lamb on basmati rice with the creamiest white sauce. Marvel at the view from: Top of the Rock. There is no better view of New York than from Top of the Rock. Central Park, the Empire State Building, Manhattan’s midtown and the towering skyscrapers of downtown are all in the palm of your hand. Walk through history at: Empire State Building. Even though the views are much better from Top of the Rock, it’s worth paying the Empire State Building a visit as well. You’ll get a chance to peek at the magnificent Art Deco interiors and walk through the building that has defined the Manhattan skyline since the 1930s. See the lights at: Times Square. It’s bright, it’s loud, it’s crazy and it’s well worth visiting once. A definite tourist trap, it’s swarming with visitors from everywhere in the world but there’s something undoubtedly magical about standing in the middle of it all and being blinded by the lights. Dine at: Rosemary’s. Vegetables sourced from Rosemary’s rooftop garden and their farm in Hudson Valley are transformed into a delightful eggplant caponata, sweets beets with bitter greens and buttery salty radishes. All of this is accompanied by silky pasta dishes, crispy skin salmon and pork and a classic bistecca (Florentine steak). Listen to world-class jazz and drink at: The Village Vanguard. Everyone who’s been anyone in the jazz world has played on the stage of this legendary New York institution. Not much has changed since the 1930’s when the club opened – the tables are tightly packed, the music is loud and the drinks pleasantly boozy. Have a brunch at: Katz’s Deli. There’s nothing like a juicy pastrami sandwich to soothe the consequences of last night. Prefer a Reuben? This classic here comes with gloriously melted Swiss cheese and unbeatable Russian and sauerkraut combo. Be moved by: 9/11 Memorial and Museum. A beautiful yet poignant reminder of what happened on the morning of 11 September 2001, the memorial and museum documents the day that changed the course of modern history. Explore: Lower Manhattan. Financial district’s streets, where sky-high skyscrapers sit next to historic buildings like the Federal Hall, are unlike anywhere else in the world. Walk Wall Street, see the New York Stock Exchange and imagine miles of tunnels loaded with gold bars beneath you at the Federal Reserve. Don’t forget to look down a narrow side street with steam rising from the subway to feel as if you’re in Gotham. Grab a dollar slice from: Joe’s Pizza. Dollar slices are a big deal in New York – you’ll see many walk-in pizza places on street corners where people of all walks of life line up to grab a hot, saucey slice of cheesy goodness and devour it right there at the counter. Not all dollar slices, however, are created equal. It’s the classic Italian crusts and more than 40-year-old recipes and methods that people keep coming back for at Joe’s. Walk: The High Line. An exemplary project of repurposing old spaces within a city to create something new and exciting, The High Line has been a big draw in the Meatpacking District since it opened in 2009. 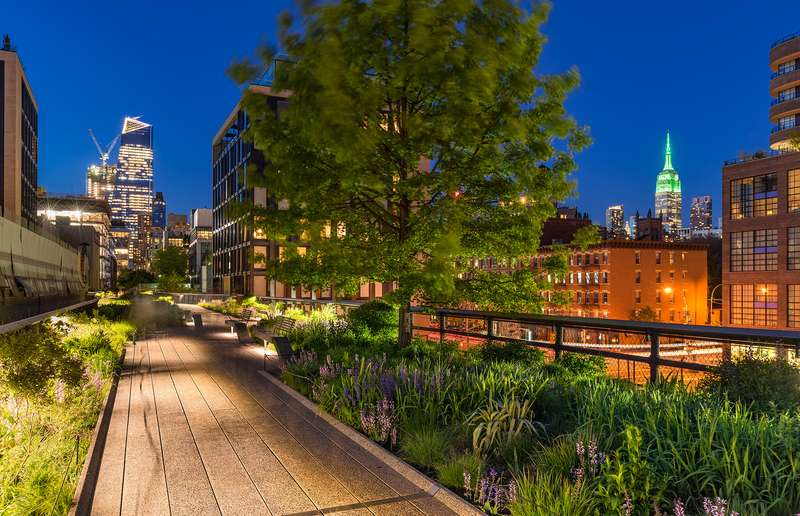 Created on a former New York Central Railroad, it’s a green oasis in the city, running from the Whitney Museum of American Art up to Hudson Yards. You can join it at various points along the route and enjoy the serenity high above the hustle and bustle of the streets. Slurp noodles at: Momofuku noodle bar. If you enjoy a bowl of ramen and the soft, pillowy goodness that is a bao bun, you owe a lot to David Chang – the chef who brought these foods into the mainstream over a decade ago. Stop by Momofuku’s original location and order a bowl of pork ramen and Chang’s signature pork belly buns. Check opening times before going as the noodle bar is closed between lunch and dinner services. 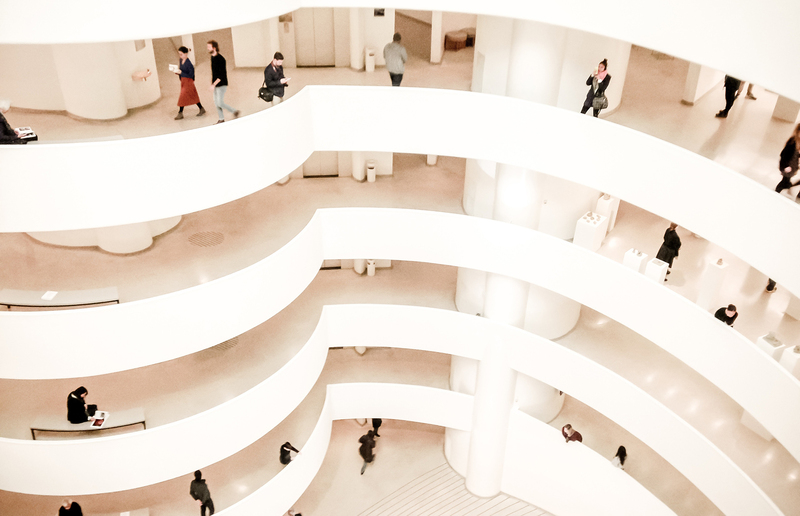 Have an artsy evening at: The Met and The Guggenheim. Two museums, among the world’s best, sit almost side by side in the Upper East Side so it would be almost rude to skip them. The Met is the home to such masterpieces as Washington Crossing the Delaware by Emanuel Leutze and works by Georgia O’Keeffe, Vincent van Gogh and Claude Monet while The Guggenheim, apart from being an architectural masterpiece, houses works by Picasso, Warhol and Cézanne. Feel like a film star at: Bemelmans Bar. Hidden away at The Carlyle below a 24-karat gold leaf-covered ceiling is a bar reminiscent of the Roaring Twenties and the old-school New York glam. Named after the creator of the children’s book Madeline, Ludwig Bemelmans, whose illustrations adorn the walls, the bar’s signature cocktail Old Cuban is a heady mix of rum, Angostura bitters, lime and muddled mint. Grab a coffee from: Brooklyn Roasting Company. Brooklyn is peppered with hipster coffee shops serving perfectly brewed cups of carefully sourced coffee and this company takes their role as coffee ambassadors very seriously. Pop in for a leisurely Sunday morning brew to set you up for the day. Wander around: DUMBO. Once a warehouse district, DUMBO’s cobblestone streets are lined with one-of-a-kind boutique stores, high-end restaurants and trendy cafés. 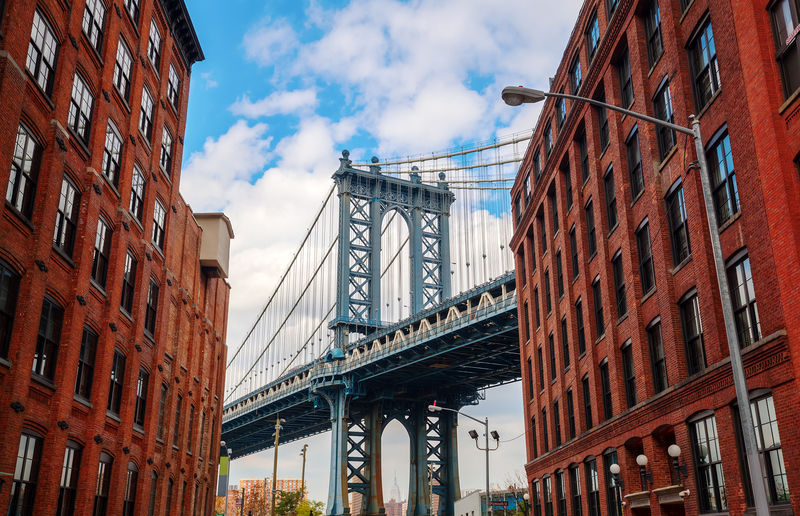 You’ll want to stop at the corner of Water & Washington to snap that iconic shot of the Manhattan Bridge framed by the red brick warehouses. Snack on a lobster roll from: Luke’s Lobster. Have you ever dreamed of a lobster roll so full of sweet lobster meat drenched in lemon butter that the bun can hardly hold it all in? Luke’s Lobster is where to get it from, the Brooklyn Bridge backdrop on the side. Marvel at Manhattan from: Brooklyn Bridge Lookout. There’s something special about the light in New York and Manhattan’s glistening skyscrapers across the water is one of those iconic New York vistas you’ve just got to see. Walk across: the Brooklyn Bridge. Probably one of the most famous bridges in the world, the Brooklyn Bridge is not only a top tourist attraction but also an engineering masterpiece. The walk across the East River will take you about half an hour, photo stops included. 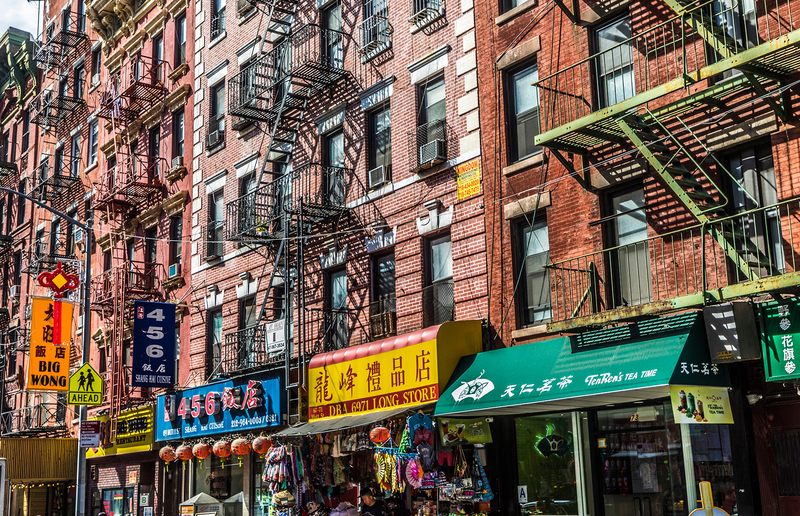 Take in: Chinatown, Little Italy and NoLIta. 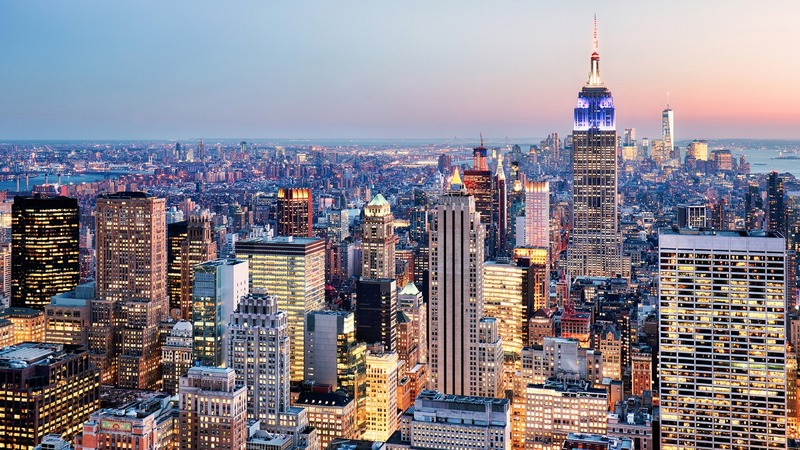 The social history of New York, and that of the United States as well, has very much been reflected in the four waves of immigration since the late 1700s and it’s impossible to visit New York without tracing the history through the city’s neighbourhoods and food – luckily, these are especially distinctive in Manhattan. Don’t miss out on lunch at: Xi’an Famous Foods. From a family-run stall in a basement of a Queen’s supermarket specialising in Chinese dishes from the city of Xi’an in northwestern China this has exploded into a much-loved chain that New Yorkers can’t get enough of. You’ll have trouble picking between a stewed pork belly meat sandwiched between two crispy slices of flatbread, one of the intensely-flavoured hand-ripped noodle dishes or the classic boiled Chinese dumplings. See Manhattan from a different perspective aboard: Circle Line Sightseeing Cruises. A boat trip is really a must in New York and Circle Line offers a selection of 1-,2- or 3-hour cruises. 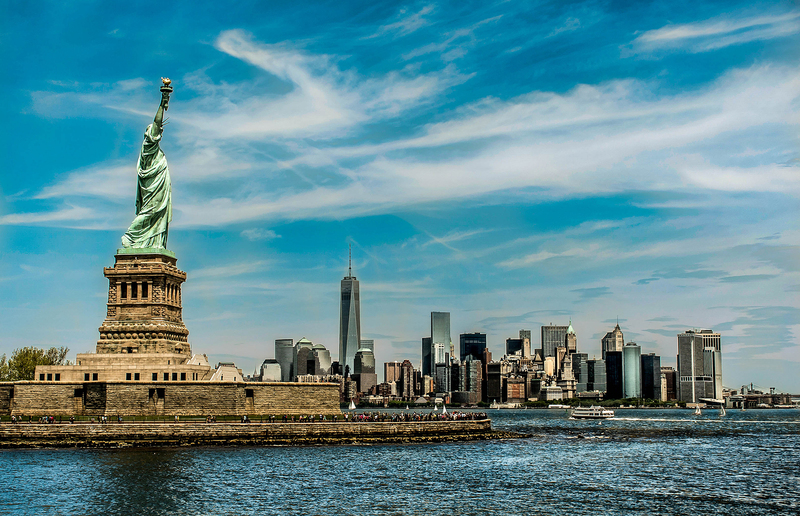 The 1.5-hour long Landmarks Cruise is perfect for seeing the best bits – Ellis Island, Liberty Island and Statue of Liberty as well as the Hudson River, the East River bridges and, of course, Manhattan itself. Dine at: Peter Luger. Celebrate your last night in New York with an all-American classic – steak. First opened in 1887, when Williamsburg was far from the trendy neighbourhood it is today, the restaurant has earned a Michelin star since and serves up the most flavoursome steaks and sides. Savour your last night in: Williamsburg. Currently New York’s most exciting neighbourhood, Williamsburg has everything you need to enjoy a night out in town. Take your pick between rooftop bars like Westlight and The Ides, trendy wine bar The Counting Room or go all out on sake and oysters at Bar Akariba. New York CityPASS costs $126 (£98.36) for adults and $104 (£81.18) for children ages 6-17. Each New York CityPASS ticket includes prepaid admission to six New York City attractions, including The Empire State Building, The Metropolitan Museum of Art and 9/11 Memorial & Museum. Find more information on the CityPASS website.